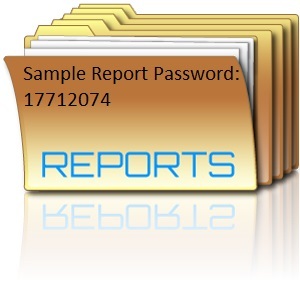 Bald Eagle Inspection Services, LLC provides detailed and easy to understand reports helping you to understand all aspects of the subject property. With more than two decades of experience in the residential and commercial construction industry, you can be sure that your inspection report will be of the highest quality. Serving all areas of Upstate New York, including Saratoga Springs, Malta, Ballston Spa, Clifton Park, Schenectady, Troy, Rensselaer County and upper Albany County. Quality, complete and affordable home inspections is my number one priority. Full exterior inspection of roof, chimneys, vents, skylights and attic ventilation. Full exterior inspection of exterior walls, windows and doors, electrical meters, gas meters and their respective penetrations and distribution infrastructure, including testing of exterior receptacles. Full inspection of the exterior property immediately surrounding the structure inclusive of foundation walls inclusive of water damage, cracks and movement, grading, patios and decks, railings and handrails, A/C compressors, well heads, driveways, sidewalks, fences, gates and landscaping. All garage types are inspected for safety elements including garage doors, garage door openers, man doors, proper electrical protections such as GFCI's, framing of walls and ascetics of finishes including but not limited to floors, ceilings and walls within the area. Full attic inspection for evidence of roof leaks, proper ventilation, proper insulation, mold growth and roof framing. Any existing attic electrical and duct systems are inspected if present. All bathrooms are inspected for leaks, proper electrical protections such as GFCI's, flow of tubs, showers, sinks and toilets, proper ventilation, necessary caulking, and ascetics of finishes including but not limited to floors, ceilings and walls within the area. Laundry area includes operation of existing appliances, proper connections, drain lines, exhaust ducts and ascetics of finishes including but not limited to floors, ceilings and walls within the area. Kitchens are inspected for proper operation of all existing appliances, cabinetry and counter top condition, proper electrical protections such as GFCI's, flow of sinks and operation of garbage disposals, proper ventilation, necessary caulking, and ascetics of finishes including but not limited to floors, ceilings and walls within the area. All fireplaces include a level 1 inspection of firebox interior, damper operation and interior chimney condition. Full interior inspection for proper operation of doors, windows, skylights, receptacle safety, proper installation of smoke detectors and CO detectors, stairs, handrails and ascetics of finishes including but not limited to floors, ceilings and walls within the general interior. The electrical panel cover is removed and the panel is inspected for proper electrical practices, service conductor materials, branch wiring materials, presence of double tapped breakers, unsafe breakers, proper grounding and service size. All water heaters are inspected for proper operation, energy source, capacity, and presence of safety features. The plumbing system type is identified and inspected for proper operation including pipe, distribution and infrastructure type, location of shutoffs and service entry, drops in pressure, presence of vent pipe, waste traps, cleanouts and proper well operation. The heating system is inspected for presence of safety elements, proper operation, distribution systems including vents, returns, supplies and ducts, presence of oil tanks, fuel type, proper exhaust and combustion air. The air conditioning type and energy source is identified and all elements are inspected. Full inspection of the basement area including ventilation, foundation walls inclusive of water damage, cracks and movement, leaks, electrical, HVAC and plumbing distribution and infrastructure, structural components, drainage, framing, insulation, chimneys, dampness and ascetics of finishes including but not limited to floors, ceilings and walls within the area. All interior safety conditions and elements are inspected, identified and reported when adverse conditions exist including identification of mold-like substances where visible. Mold inspection is included free with every inspection where visualy identifiable. ANCILLARY SERVICES AND TESTS: Click here for a full list of ancillary services and tests provided for additional fees. Bald Eagle Inspection Services follows all New York State Standards of Practice and Code of Ethics. Click here to request your home inspection now! 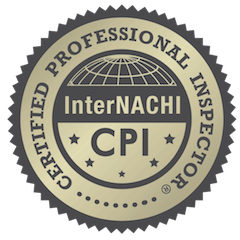 Bald Eagle Inspection Services, LLC is an International Association of Certified Home Inspectors (InterNACHI) Certified Professional Inspector.